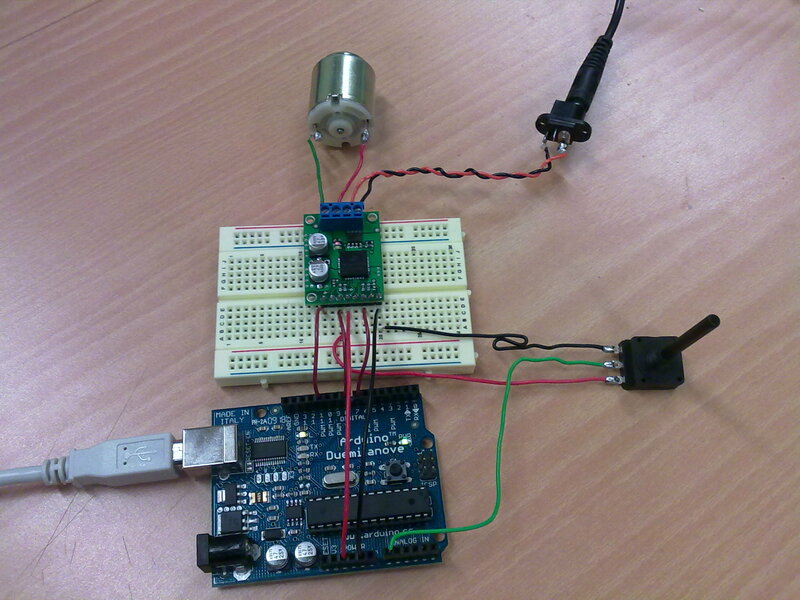 There are different approaches to driving a motor when it comes to driving a motor with Arduino. If a simple relay is used to drive a motor it can only turn the motor on and off. In case a single transistor like TIP120 (BJT) or IRF510 (MOSFE ) is used, it is possible to control the speed of the rotation. There exist smarter DC motor drivers (so called H-bridge) that can control the direction of rotation and even brake. 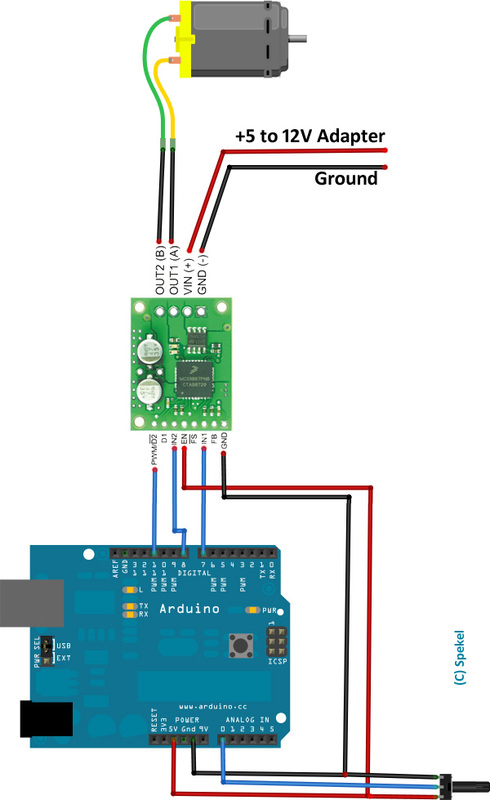 Use this sketch and schematics above, compile and upload it to your Arduino. By changing the position of the potentiometer you should be able to change the rotation speed and direction of the motor. Motor driver manual can be found here. An example of such a driver is Plolu’s MC33887 Motor Driver which is affordable and versatile. This driver can control a single DC motor with maximum consumption of 2.5A and peaks of 5A. Motor voltage can range from 5-28V which makes it an excellent general purpose motor driver. 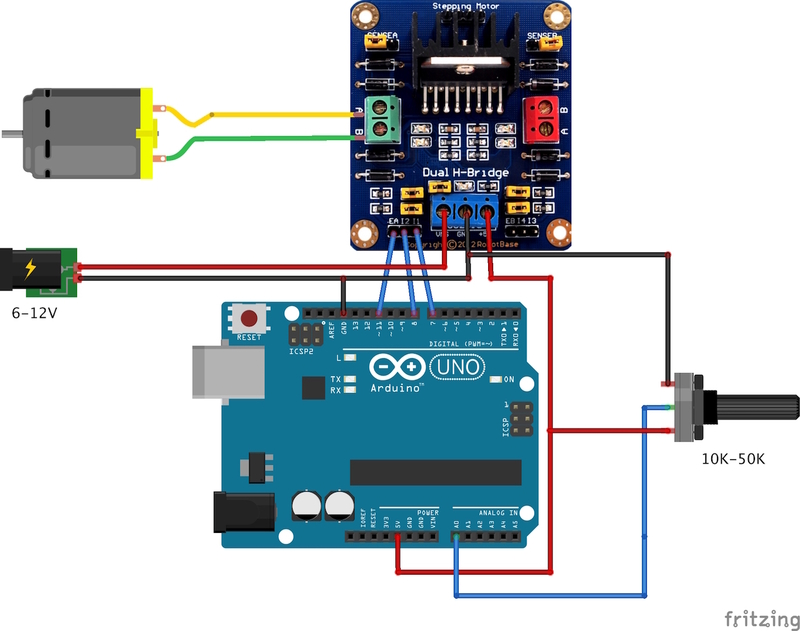 Use this sketch, compile and upload it to your Arduino. By changing the position of the potentiometer you should be able to change the rotation speed and direction of the motor. The circuit suggested above is the simplest form of using an MC338870 to drive a motor. By using D1 and D2, Disable1 and Disable2, one can leave the motor pins in tri-state. 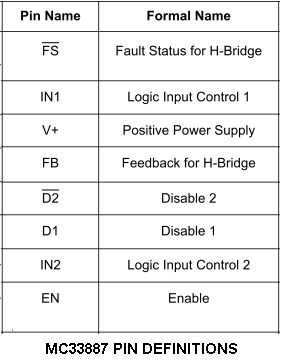 FS, Fault Signal, pin can be used to determine malfunction of the driver. FB, Feed Back, can aslo be read with the analog inputs to determine the amount of current being consumed by the motors. 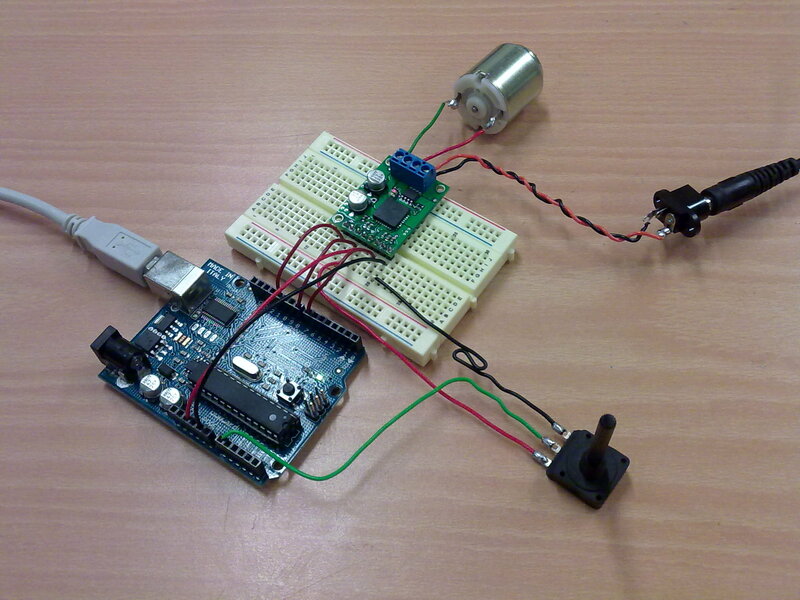 This entry was posted in Tutorials and tagged Arduino, DC motor, motor driver, potentiometer, Tutorial. Bookmark the permalink.